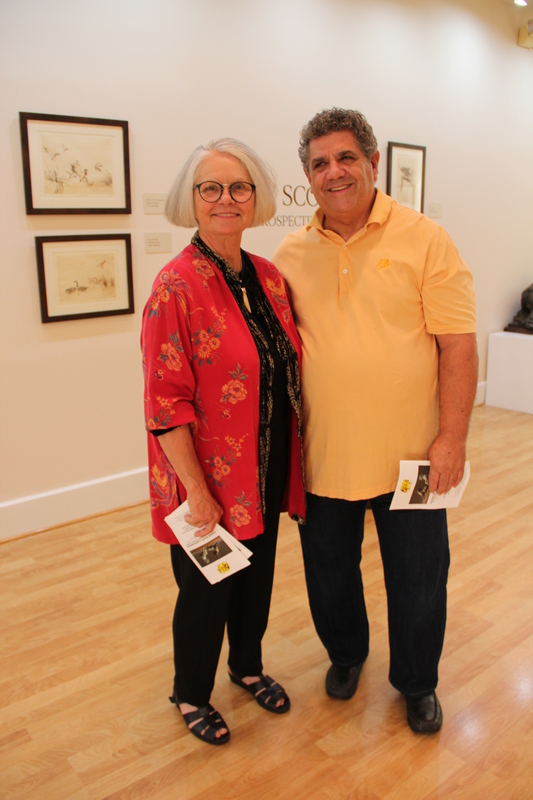 In the spirit of this month’s 4th of July celebrations, the Centers for the Arts of Bonita Springs hosts its Town and Country Exhibition at the Center for Visual Arts Bonita Springs through July 28. This exhibition showcases artwork from artists working in a variety of media with over 50 pieces of art declaring what makes this country great through depictions of rolling fields and urban streets. 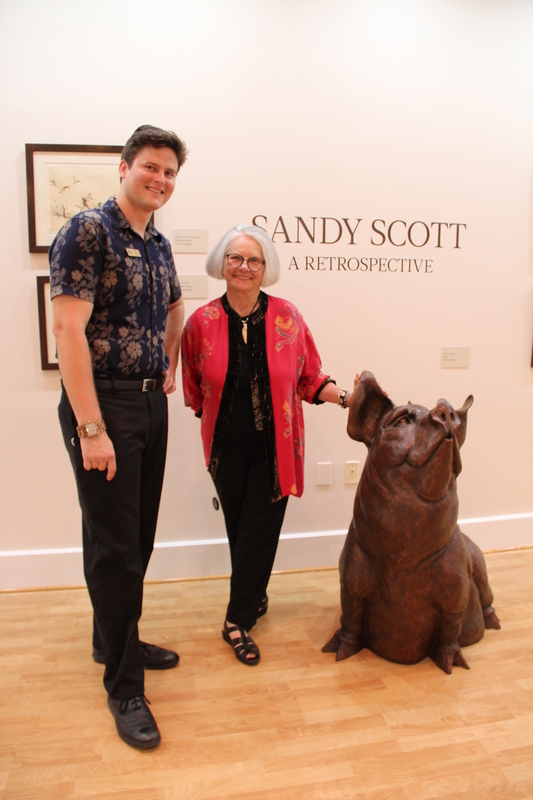 The Town and Country Exhibition was judged by Scott Snyder who has worked in the field of visual arts as a museum curator at Rockford Art Museum and Colorado Springs Fine Arts Center and as an educator at Florida Gulf Coast University. Snyder chose the eight winning artists based on the artists adherence to the exhibit theme, the technical and aesthetic quality of the work, creativity and the works subjective value. Included in the exhibition are two pieces by artist Ed Ryman (Salop,) with his acrylic painting “4th of July Dreaming” winning Best of Show. Salop has lived most of his life in Europe and attended the French Luminasitier of Aix en Provence, and Nice. While in Europe, Salop became influenced by Matisse, Derain, Ulaminck, Dufy, and the Fauvist School of Painting. Salop’s work is recognized for its sophisticated use of color, pattern and composition with concentration on the female form. Naples artist Anne Chaddock’s oil painting “The View,” which offers a unique sightline of the Naples Pier from the shore, won the First Place award at the Town and Country Exhibition. Chaddock has been painting, teaching and exhibiting her entire life and sees each of her paintings as an opportunity to make a visual statement. Chaddock will be teaching several classes and workshops at the Centers for the Arts Bonita Springs beginning in the fall and include instruction in watercolor, acrylic and oil. The Town and Country Exhibition is on display through July 28, 2016 at the Center for Visual Arts Bonita Springs, 26100 Old 41 Road, Bonita Springs, FL 34135 For more information, please call the Centers for the Arts at 239-495-8989 or visit them on-line at www.artcenterbonita.org. Join the Centers for the Arts for the first time as an individual member receive a free 4-, 5-, or 6- week class, or join for the first time as a family member receive a free 4-, 5-, or 6- week class and two free tickets to a Live! Performance. The Centers for the Arts offers this benefit for first time members and it is for a limited time only. The class and performance must be used before December 31, 2016. The Centers for the Arts Bonita Springs (CFABS) invites art lovers to join them at their new Center for Performing Arts Bonita Springs (CPABS) exhibition space for their Center for Performing Arts Exhibition: The Art of Ballotti, Merchant and Unwin Opening Reception On Thursday, June 30, 2016; 6:00-8:00pm. This exhibition includes the varied mediums of artists Jennifer Unwin, James Ballotti and John Merchant. The opening reception offers guests the opportunity to explore the CPABS campus filled with intriguing artwork in this curated exhibition. The Opening Reception offers the public the opportunity to meet three of the area’s leading artists and to view a wide variety of their original artworks while enjoying light hors d’oeuvres and wine at the Center for Performing Arts Bonita Springs at 10150 Bonita Beach Road, Bonita Springs, FL 34135. Artist, Jennifer Unwin studied commercial art, layout design, and fashion illustration at the Art Institute of Pittsburgh. She led a successful career as an advertising designer and fashion illustrator in Connecticut before moving to Florida. Her earliest artistic memories are sketching on a plastic covering over a television screen following along with John Gnagy’s television show “You are an Artist” in the 1950’s. This exhibition will display both her realist and abstract work revealing the breadth and range of her vision. James D Ballotti started photography in 1968 at the age of seventeen. Over the following years his camera went almost everywhere with him. He is self-taught and has studied everything he could find on the subject. On a limited budget, his goal was to make every shot count. The images on display for this exhibition are part of a series of original photographs taken from the back door of his condominium in Bonita Springs. You will be surprised by the intensity and variety provided by his intentionally limited vantage point. John Merchant has drawn and painted since childhood. He studied art for five years at the College of Art in Sheffield, England. 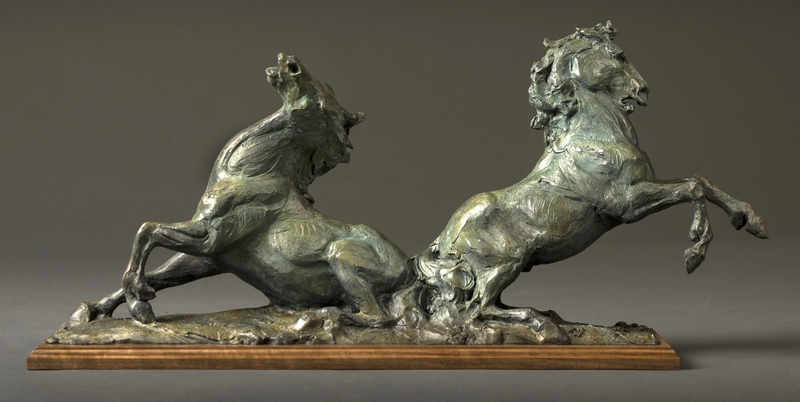 Nothing engages John Merchant as intensively as stone carving. The rock tells him how it wants to be carved. His intuitive process leads to phenomenally emotional and engaging work. Attempting to reveal indescribable thoughts and emotions, his task of shaping the stone to serve his vision is complemented by the cataclysmic forces that shaped the rock’s origin. The Exhibition is on display from June 30 – August 24, 2016 at The Center for Performing Arts of Bonita Springs, 10150 Bonita Beach Road, Bonita Springs, FL 34135. Hours are Monday through Friday from 9:00 a.m. to 5:00 p.m. Exhibition Opening Reception Admission is free. Future Center for Performing Arts Exhibition Opening Receptions are scheduled for August 25, and October 27 from 6-8pm, and will showcase three CFABS faculty or member artists and selected through a curation process. For more information, please call the Centers for the Arts at 239-495-8989 or visit them on-line at www.artcenterbonita.org. On Friday, June 10, 2016; 6:00-8:00pm the Centers for the Arts Bonita Springs (CFABS) invites everyone to join them at their Elements of Abstraction Exhibition Opening Reception. The first in CFABS’ monthly summer series of juried exhibitions, Elements of Abstraction showcases artwork from artists working in a variety of media with over 100 pieces of abstract representations. CFABS’ exhibition openings are a local favorite, offering residents the opportunity to mix and mingle with fellow art lovers and local artists while enjoying hors d’ oeuvres, wine and music. The Elements of Abstraction Exhibition, which remains on display through June 23, offers visitors an opportunity to take a step out of reality and jump into a world where line, shape, texture and color influence emotions in unexpected ways. Abstract art can have a transformative effect on the viewer and artist alike. One local artist whose life and art has been transformed by the medium is Bonita Springs resident and emerging artist Betsy D’ Jamoos who has two striking acrylic pieces “Bravely Apart,” and “Making Space,” included in this exhibition. Following a successful career in consulting and government policy, D’Jamoos’ picked up a paintbrush for the first time in 2014 when attending a workshop by artist Theresa Girard at CFABS. Proving its never too late to follow your creative calling D’Jamoos art was chosen this year as one of only 16 artists from across the State included in the Baker Museum’s Florida Contemporary Exhibition. D’Jamoos’ art was also shown at the Center for the Arts of Bonita Springs (CFABS) 26th Annual Members Juried Exhibition and CFAB’s 2016 “Surf and Turf” exhibition and hangs in private collections in Southwest Florida. To meet D’Jamoos and view her artwork, join the Centers for the Arts Bonita Springs’ at the Elements of Abstraction Exhibition Opening Reception is 6:00pm-8:00pm, Friday, June 10, 2016 at the Center for Visual Arts Bonita Springs. The exhibition is on display June 10-23, 2016. Admission is free. For more information, please call the Centers for the Arts at 239-495-8989 or visit them on-line at www.artcenterbonita.org. 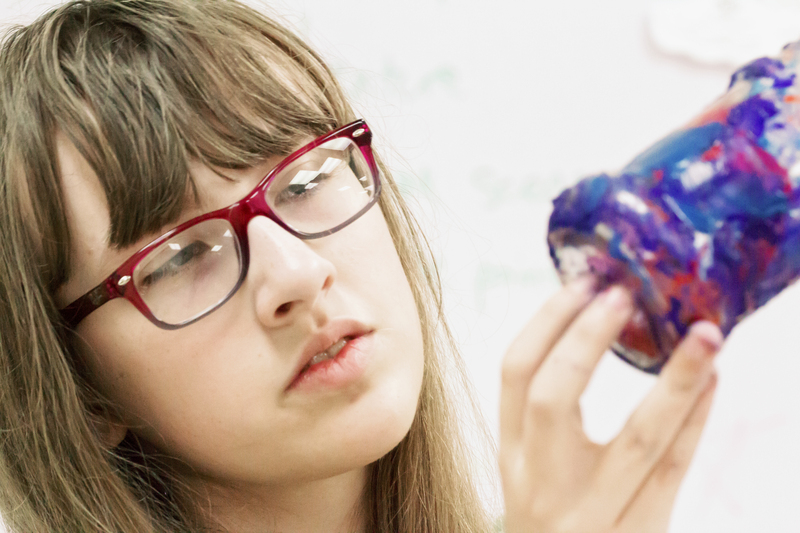 The Centers for the Arts Bonita Springs (CFABS) believes that the future is bright for creative high school graduates who are planning to continue their educations and pursue careers in the arts. CFABS hopes to make that path easier through their annual High School Showcase where local high school seniors who are planning to study art or design in college are eligible for college tuition scholarships. The High School Showcase Opening Reception and Awards Ceremony on Friday, May 13, 2016, 6:00-8:00pm at the Center for Visual Arts Bonita Springs is free and open to the public. The showcase is on display through May 19, 2016. Bonita Springs and Estero High school students gather their best work for submission to the Student Showcase Exhibition. Each senior submits a portfolio of their artwork, writes an essay and answers questions in a one-on-one interview with Centers for the Arts representatives. Winners are announced at the Opening Reception on May 13. CFABS has awarded more than $100,000 since the beginning of this program to support students wishing to pursue careers in art, design, architecture, media and performance. Funding for the scholarships is raised in part through CFABS’ annual “Off the Walls,” event and through private donor designated gifts. All students who participate receive a scholarship for Centers for the Arts programming. “While our country struggles to keep our students in school and improve our graduation statistics of only two out of three students graduating, we are pleased to see the many students who have chosen to participate in this exhibition, compete on a high level for college tuition scholarships and make the positive choice to stay in school, graduate and even go to college,” says Susan Bridges, President of the Centers for the Arts Bonita Springs. Local elementary and middle school students will have an opportunity to exhibit their work during CFABS’ Elementary and Middle School Exhibition on display May 27-June 2, 2016 in the Main Gallery of the Center for Visual Arts Bonita. The opening reception for the Elementary and Middle School Exhibition is Friday May 27, 2016, 6:00-8:00pm. 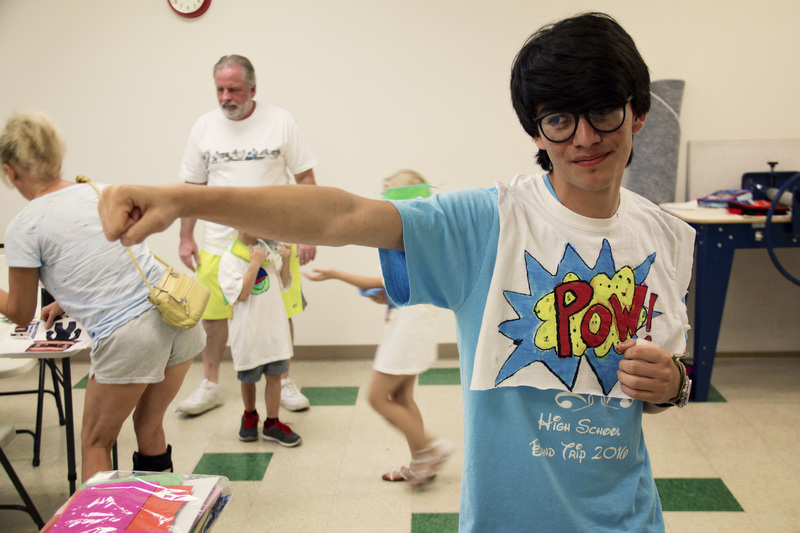 The Centers for the Arts offers Summer Camps for children ages 4-18 in Art, Theater, Dance and Music beginning June 8. The Centers for the Arts Bonita Springs makes summer fun and learning affordable for families with great scholarships and discounts. Stop by the Centers for the Arts of Bonita Springs and pick up a catalog or go on-line to www.artcenterbonita.org for a listing of classes for children and adults. Those who join the Centers for the Arts for the first time as an individual member receive a free 4-, 5-, or 6- week class, and those who join for the first time as a family member receive a free 4-, 5-, or 6- week class and two free tickets to a Live! performance. The Centers for the Arts offers this benefit for first time members and it is for a limited time only. The class and performance must be used before December 31, 2016. To learn more contact the Centers for the Arts Bonita Springs at 239-495-8989 or visit http://www.artcenterbonita.org.